Before humanity ventured to the Moon, our view of our home planet consisted of what we could see from horizon to horizon. 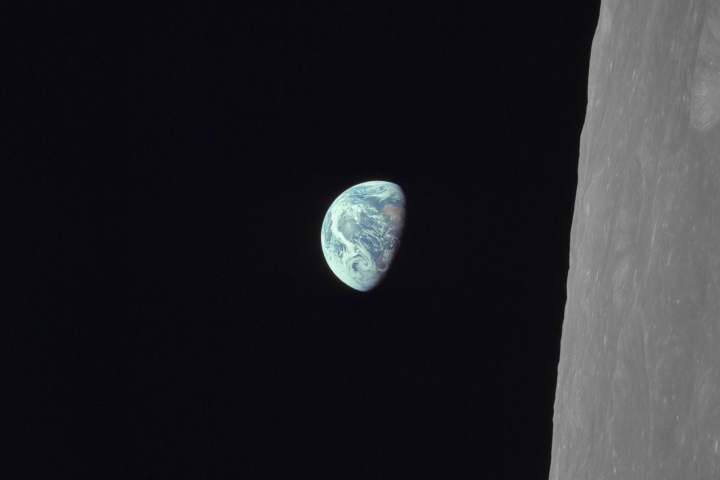 It was not until this stunning photo (along with many others) came back to Earth with the Apollo 8 astronauts in late December 1968 that we saw Earth as a vibrant, delicate, blue and white globe framed by the velvety blackness of space. From the great distance of the Moon, nearly the entire Western Hemisphere is visible. Clouds cover much of North America in the upper left, but the distinctive coastline of the southeastern United States and the Florida peninsula are clearly visible. A break in the clouds in the far north provides a glimpse of eastern Canada and the mouth of the St. Lawrence River. The whole of South America is visible, its southern tip, Tierra del Fuego, hidden beneath clouds at the bottom of the globe. This photo clearly shows the impact of the Andes Mountains on the continent’s weather and vegetation. The mountains, which run down the western side of South America, are barriers to westward moving storms. To the west of the mountains is Earth’s driest desert, the Atacama Desert, and to the east is its largest rainforest, the Amazon Rainforest. The contrast is clear in this photo: the only clear land in South America is the brown desert along the west coast. The rest of the continent is cloudy. 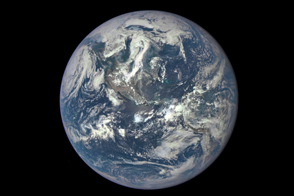 The western edge of the image is ringed by the blue Pacific Ocean. In the east is the bulge of West Africa. The landscape gradually fades to black night—evening from space. The photo was taken on December 22, 1968, so the line of night slants toward the west in the north where days are shorter during the winter. Only 24 people have seen Earth this way firsthand, but their photographs of the planet are familiar to millions. Before the Apollo program, early space exploration let human eyes view the planet from orbit, seeing for the first time the curvature of the Earth and its thin atmosphere. In 1966, a lunar probe sent back a black-and-white image of a cloudy Earth rising over the Moon’s surface, providing the first view of our home planet as a whole. 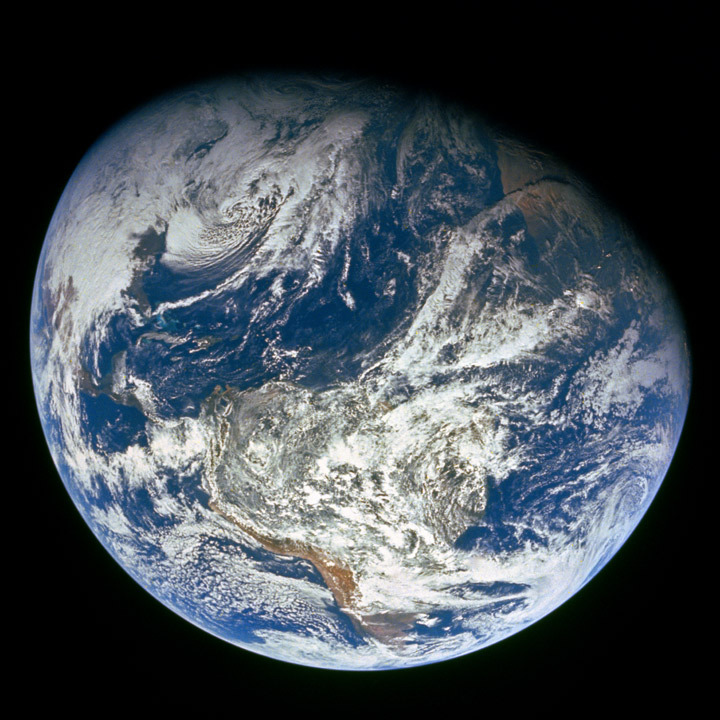 But it is the hundreds of Apollo photographs that provide the familiar, inspiring view of the Blue Marble. The images represent far more than pretty pictures. 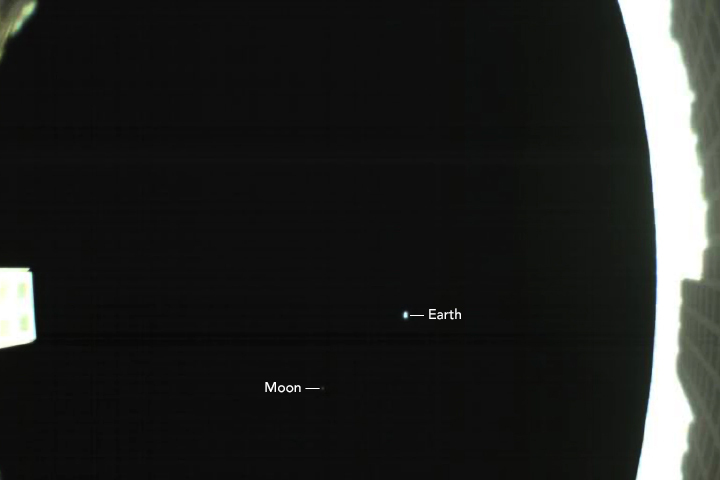 Since the photos were taken, humanity’s gradual exploration of space has taught us a great deal about our home planet. From space, we have learned that Earth is a complex system, its atmosphere, ocean, land, life, and energy melding together into a single organism. We have learned important lessons about our climate, and how it is changing. We observed the global sea level rise and Arctic sea ice melt in response to warming oceans. We have come to understand how pollution is transported around the globe. We watched the ozone hole develop over Antarctica and took steps to remedy it. These are just a few of the important discoveries that the perspective from space has enabled. 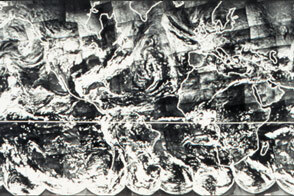 It may be said that the perspective from space revolutionized Earth science. 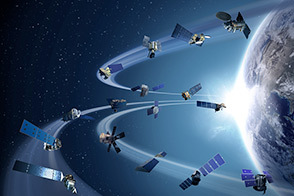 To mark NASA’s 50th year of operation, the Earth Observatory asked a number of Earth scientists what going into space has done for Earth science. Their responses are summarized in Earth Perspectives. While all described significant scientific advances, most also mentioned the intense appreciation they have developed for the Earth by seeing it from afar. Astronaut photograph AS08-16-2593 was acquired on December 22, 1968, by the Apollo 8 crew with a 77 mm camera. It was provided by the Image Science & Analysis Laboratory, Johnson Space Center. Additional images taken by astronauts and cosmonauts can be viewed at the NASA/JSC Gateway to Astronaut Photography of Earth. Caption by Holli Riebeek. This stunning photo came back to Earth with the Apollo 8 astronauts in late December 1968.